The Makerspace is a place where teachers can engage in hands-on experiences for use in any classroom. A Makerspace can be a cart, an entire allocated space or part of your library, it doesn’t matter! You can create an amazing experience for your students on any budget. 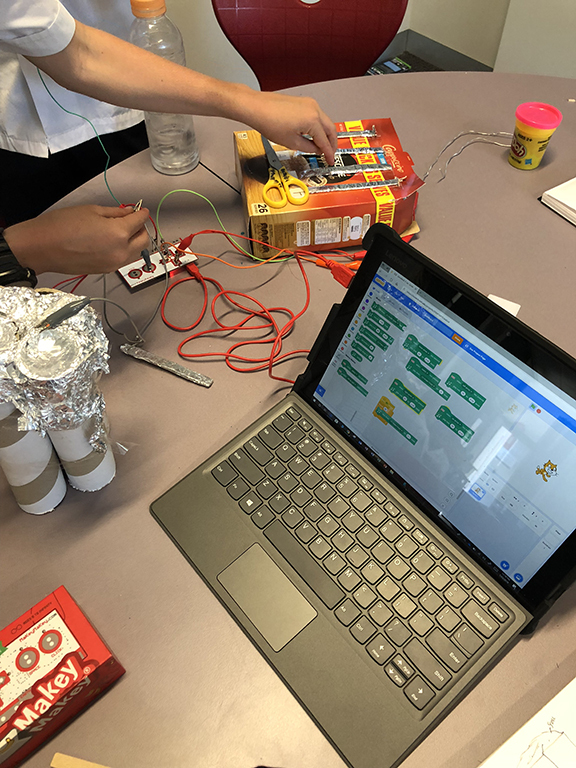 Learn more about how robots, coding, digital technologies, drones, programming and so much more can boost creativity and engagement amongst students. On Friday, students from local schools look forward to presenting their projects and solutions to the teacher delegates. On Saturday, vendors will showcase a range of ideas and technologies that demonstrate good teaching and learning….it’s not about the stuff, it’s about what you do with it! During this session participants will have the opportunity to code and use a Makey Makey and Scratch 3.0. This will showcase how sedentary objects can come to life through music, movement and speech while coding with block based language, Scratch.